The practice of cardiac electrophysiology is far removed from the type of medicine my grandfather practiced in India. My interest in medicine, however, was not dominated by the wonders of medical technology, but the one-on-one patient contact that defined my grandfather’s practice. Some of my earliest memories were visiting India and witnessing my grandfather see patients in his home and the trust that patients placed in him in their time of pain and suffering. It is that type of patient contact that I strive to provide my patients despite the high-technology nature of cardiology. Despite my earliest thoughts that I wanted to be a physician, I also had a love for engineering and physics. This drove my decision to major in electrical and biomedical engineering. Even at this point I did not know how relevant my undergraduate major would be to my professional future. After a short time as an engineer for Frito Lay, I moved on to medical school. It was only in my final year of medical school that I chose internal medicine as my specialty (I originally thought I would be a plastic surgeon!). I enjoyed the long-term patient contact that is common in internal medicine, but also felt that internal medicine’s subspecialties offered the opportunity to satisfy my need to work with my hands as well. In cardiac electrophysiology I found the perfect blend of chronic patient relationships, manual procedures, ample opportunity to use cutting-edge technology, the ability to use my engineering background and the ability to actually cure certain diseases. I think that my grandfather would be amazed at the things we can do in cardiac electrophysiology without ever opening up the chest. The robotic systems to move catheters, the three-dimensional mapping systems to help localize arrhythmias, the ability to cauterize small amounts of tissue to cure arrhythmias that would have, at best, been treated for a lifetime with medications are all things that were not even imagined in his time. He would also remind me that technology does not compensate for the interaction and covenant that is inherent in the doctor-patient relationship. I hope that despite all the technological gadgets that we use, that I have honored the foundation that my grandfather instilled in me on what it means to be a physician. 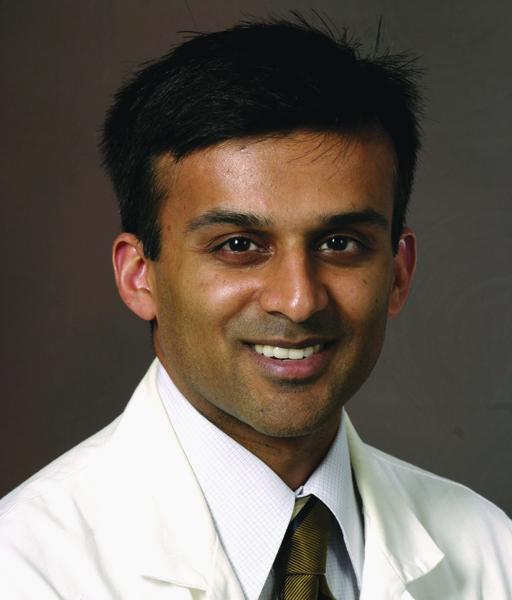 Kousik Krishnan, MD, FACC, a cardiac electrophysiologist, is director of the Arrhythmia Device Clinic and associate director of the Electrophysiology Lab at Rush University Medical Center. He is an assistant professor of medicine at Rush University. This entry was posted in Heart, Innovation, Rush University and tagged arrhythmias, cardiac electrophysiology, cardiology. Bookmark the permalink. It is amazing how technology has changed medicine. Major operations have now become small ones and recovery times are a fraction of what they once were. Medicine will continue to advance and hopefully more cures are on the horizon. In regards to heart disease, it is interesting to note that eating a specific plant based diet can actually reverse clogged arteries. Perhaps more emphasis should be placed on diet for cardiac patients.